Seal King has the Business for You! The Pavement industry is enormous and is expected to make huge leaps in the future. Every year, thousands of new asphalt driveways, miles of new roads, and millions of square feet of newly paved parking lots are installed. The fact is, over 60% of new pavement is asphalt. This new asphalt requires regular maintenance through seal coating, crack filling and patching. The average life expectancy of asphalt is around 15 years. The latest advances in pavement maintenance and seal coating have increased the life expectancy of asphalt to almost 30 years. New products and innovations are constantly being developed. The high cost of asphalt replacement and overlays allows the maintenance industry to flourish. Store-bought materials cannot compare to the high quality materials used by Seal King. 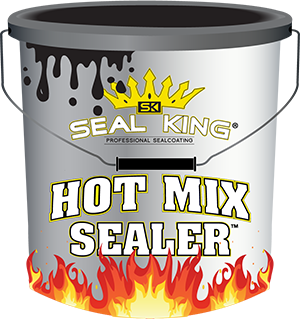 Customers are seeing the difference between what they can buy, compared to the high quality materials used by Seal King. Seal King has developed a proven maintenance system to capitalize on this huge market. Our unique 10-point checklist is a service that provides customers with a full package of driveway seal coating. A typical driveway should be sealed every other year. This will increase pavement life and provide a beautiful looking driveway. Regular seal coating will more than double pavement life. Seal coating is the most cost effective way to properly maintain asphalt. Profits in the pavement maintenance industry can be very substantial. 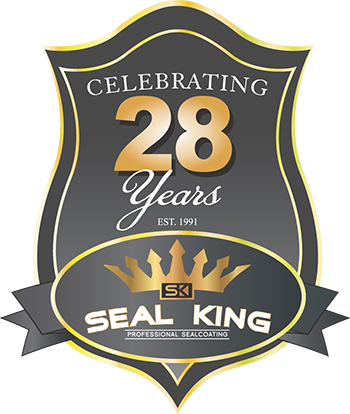 Seal King has developed ways to lower costs and increase profits. Our system allows franchises to carry up to 300 gallons of material to each job site. There’s no need to continually re-supply your custom Seal King trailer, allowing maximum time in the field doing seal coating jobs and building your customer base.